Online reviews and recommendations on social media can have an important and growing influence on buying decisions. And though this makes for an excellent marketing opportunity, it challenges the value of opinions based on expertise. How much do consumers care about the voice of an authority? How important are consumer reviews? How can businesses attract and leverage positive reviews? Expert opinion is and will always be an important influence for a consumer. However, both research and common sense tells us that the recommendations of fellow consumers are becoming more important than ever. 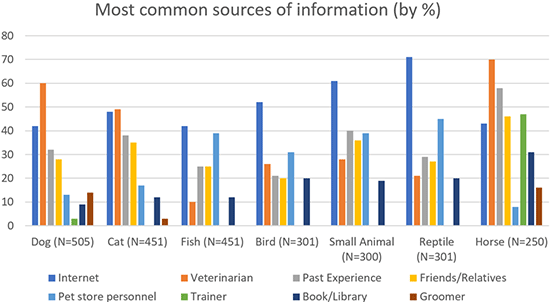 The 2017-18 APPA National Pet Owners Survey (Figure 1) found that the internet was the most common information source for fish, bird and reptile owners and was a close second to veterinarians for dog, cat and horse owners. 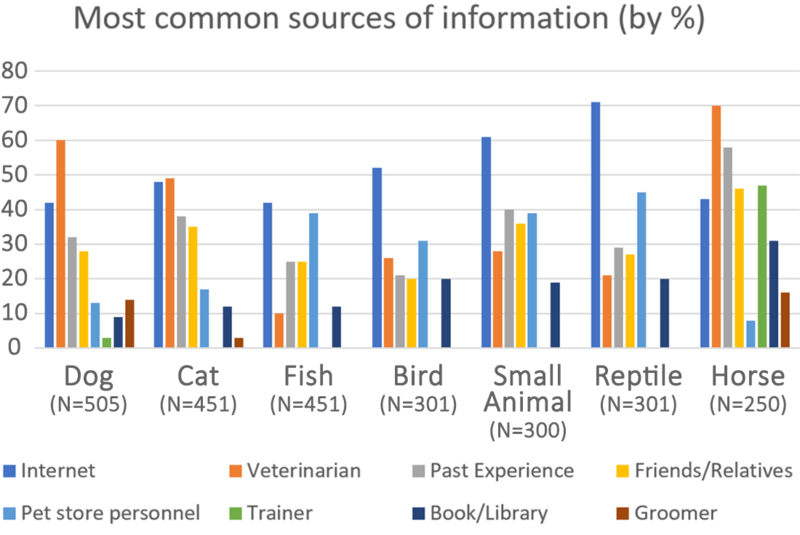 For all six groups, the internet’s importance as a source of information has been growing rapidly in the previous decade, particularly for finding available pets, learning about pet products and product reviews. Consumer reviews matter, whether they are from pet parents seeking a medical product for their dog or a vendor looking to connect with a company. The APPA survey notes that product company websites and social media are the most popular online channels for consumers to review and recommend pet products, with product review sites used by over 40 percent of all current pet owners. 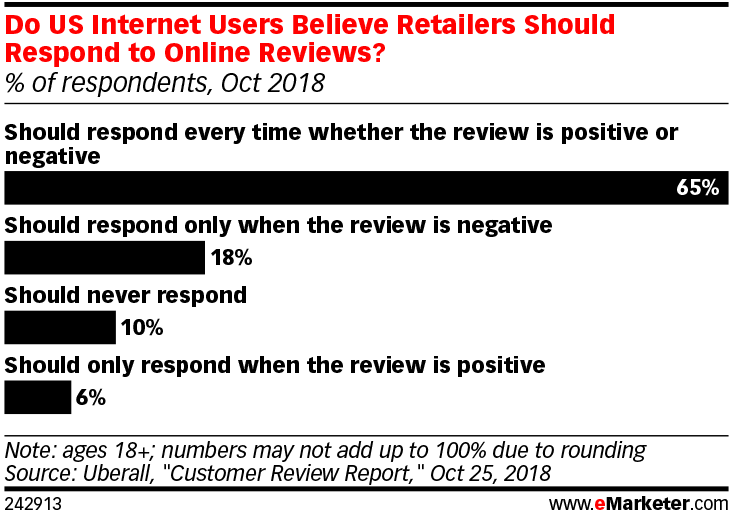 This means that as online shopping continues to expand, consumers are looking at and using online reviews and social media, whether it’s to get the opinion of an authority or to connect with others who have used a particular product. How can business attract and leverage positive reviews? Many pet care companies have a solid a history of expert recommendations, but how do they translate that to positive consumer reviews? The goal is to generate responses, but the execution of that is so much more complex. According to a study from BrightLocal (Figure 2), asking consumers to leave reviews is one of the most difficult parts of review management. Writing a review is time-consuming, and the bulk of online reviews tend to come from the extreme ends of satisfaction. By simply encouraging more consumers to give feedback, the average rating can level out and be more representative of the product’s quality. We also recommend that businesses treat product and service reviews as a consumer conversation. 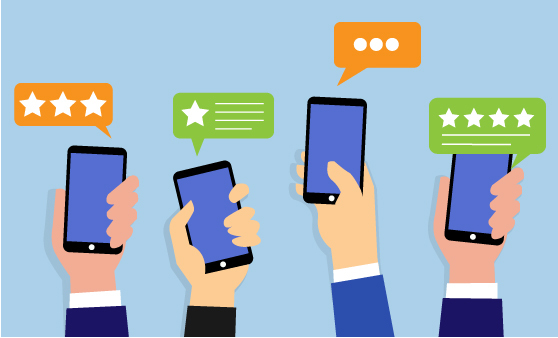 A study by Uberall (Figure 3) found that 65 percent of consumers thought that retailers should respond to every online review, while only 10 percent thought that they should never respond. Responding to online reviews offers two clear benefits. First, by addressing a consumer’s concern, there is a real opportunity to change a negative review into a positive experience. The second benefit is that by becoming part of the conversation, the business can shape how customers discuss the product or service online. In our example, our pet medical supply company should respond to all inquiries, complaints and customer service issues, as well as ensure that medical questions are filtered to and answered by our veterinarians. This primes our products and services for more positive reviews by industry and consumer reviewers. Inspiring engagement through constructive conversation is a great opportunity to build consumer confidence. This takes initiative and investment to encourage feedback through all channels and to respond to it when it’s given. For more information about our approach to marketing in the pet care industry, download our R+K Pet Care Credentials or contact Gino Tomaro, Business Development Director.